ÃÂ· a user-friendly approach, based on the latest version of SPSS throughout. The use of two real educational datasets keeps the content relevant, and shows students the imperfections and problems which they will meet in real-life research. The datasets use common international measures and access to the datasets, allowing students to practice and answer the questions that follow each chapter, is available though the book website. This book is for researchers and students studying research methods in education. It is suitable as a main textbook for quantitative methods courses, as well as a resource for researchers in this field. About: Doing Quantitative Research in Education with SPSS, Second Edition, an accessible and authoritative introduction, is essential for education students and researchers needing to use quantitative methods for the first time. 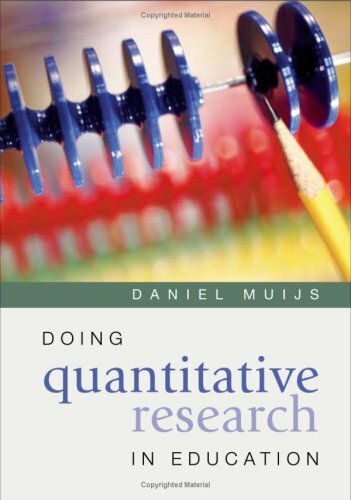 About: This book provides an introduction to using quantitative methods in educational research.